I’m pretty sure our computer desk is cluttered with wires and cables, as most devices are connected to your computer via such connectivity. Of course, computer manufacturers recognize the unsightly wire clutters on the desk, and they have recently introduced various devices that operate wirelessly, and has an onboard power source through the batteries. 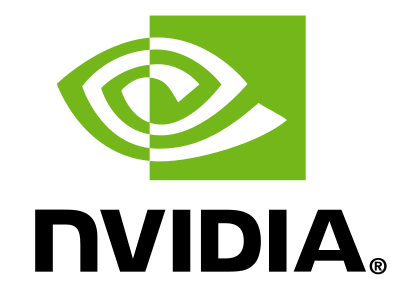 And when it comes to wireless display standards, Miracast is one of the leading standards, and it looks like their prospects of becoming the world’s leading wireless display standard got brighter recently, as NVIDIA announced that they will be supporting them as an integral part of the Tegra mobile platform. Well, there’s not much detail on the matter yet, but I’m guessing more Tegra devices in the future would come with Miracast connectivity, don’t you think so? - That’ll definitely give existing WiDi and AirPlay a run for their money. If you hate driving to the nearest hardware store to get your regular hardware supplies, I would recommend you to try shopping for these products via www.reidsupply.com. For your info, the Reid Supply company has been in the business for decades, and they know what it takes to deliver the best products and services to consumers like you. Basically, the Reid Supply company caters various product selections, namely, clamps & work-holding, tools & maintenance supplies, position indicators, leveling devices & vibration control, cable ties & accessories, safety accessories, packaging & shipping supplies, and etc. Personally, I would recommend you to look closely at their ‘New Products & Promotions’ section, as you’ll find many irresistible offers listed on this section. For top-notch hardware supplies, try www.reidsupply.com. Well, Q2 is fast ending, and Fortune 500 companies are already posting their earning results, and the latest one is none other than Amazon. Apparently, Amazon has announced that their net income which is down 96 percent when compared to 2011’s performances, in which they made a net profit of just $7 million for Q2 this year. Net sales however, were slightly better, in which it rose 29 percent to $12.83 billion. Generally, this practically translate that Amazon might be selling products with a reduced profit margin, as clearly, more products were shipped out, but with lesser profit and hence, lower net income. It seems that the company’s budget-friendly Kindle Fire tab, although performed marginally in the market, is still ranked number one item across Amazon’s website. Well, just hopefully, Amazon won’t sink further down, as they will be in the reds. If you ran out of ideas on the perfect birthday gift, you should try getting some sterling silver jewelry instead. Personally, I would recommend you to try getting some silver jewelry via www.slane.com, as they have some of the best silver jewelry designs in the market. In fact, I find their basket weave jewelry design to be very unique and exotic, and the level of workmanship is pretty superior too. Furthermore, I find their silver jewelry to be priced very reasonably too, which is budget-friendly and would go light on your wallet. For high quality and beautiful silver jewelry, try www.slane.com. Electronic devices are energy guzzlers these days, in which these devices require so much power to run that current battery technology is lagging far behind. Nevertheless, there are ways to increase one’s electronics battery lifespan, in which if the device could harness energy from its surroundings, such energy could be channeled back into the device, thus boosting its battery usage capacity. 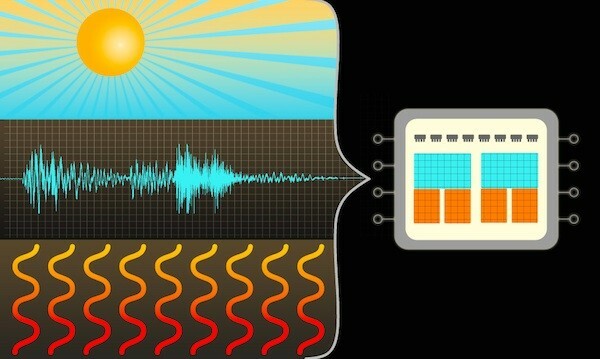 Well, the researchers at MIT have done it yet again, whereby they have created a chip that could harness energy from 3 different sources simultaneously. Generally, the chip has the ability to harness light, vibrations, and also heat. The chip utilizes a control system that switch rapidly between 3 sources and store energy inside capacitors that could be used later. Perhaps such chips could power our future electronics devices? Kitchen appliances do breakdown occasionally, as the continuous daily usages wear the kitchen appliances considerably, which contributes to its breakdowns. Surely, whenever a kitchen appliance breaks down, spare parts would be required to repair the respective appliance, and if you want a convenient way to purchase these appliance repair parts, you should definitely shop for these parts via www.topapplianceparts.com. The web store caters spare parts for various appliances, namely fridge parts, plumbing parts, microwave parts, dishwasher parts, washer parts, dryer parts, stove parts, water filtration parts, and many more. To get a complete list of the available spare parts, visit www.topapplianceparts.com for more info. Intel can’t be the biggest semiconductor player, if they don’t spend a considerable amount of money expanding their business operation. In fact, Chipzilla has just recently purchased 15 percent stake in ASML, in which the acquisition would cost Intel a whopping $4.1 billion. Generally, the purchase would increase Intel’s lead in the semiconductor industry, and Intel plans to increase their manufacturing efficiency, through faster production. Apparently, Intel is in the process of restructuring their chip manufacturing process, whereby they plan to use bigger diameter silicon wafers that would ultimately be used for the Ivy Bridge and ValleyView processors in the future. 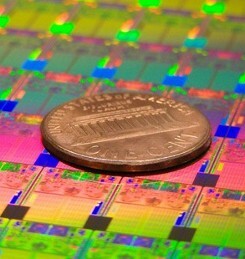 And with larger wafers, this means Intel can churn out more processors per wafer, thus decreasing their production time for manufacturing the microprocessors. Outdoor furniture are exposed to various weather conditions, such as rain, storm, extreme heat, and even snow. And when it comes to patio cushions, such cushions are different from ordinary cushions, and Dryfast foams are usually used as the cushion material. Generally, Dryfast foams have large open cells, which enable the cushion to dry quickly, and this makes it the perfect material for outdoor cushions. Furthermore, Dryfast foams contain an anti-microbial formula which suppresses micro-organism growth. If you are shopping for high quality yet inexpensive patio cushions that are constructed from Dryfast foams, I would recommend you to shop at www.foambymail.com. The web store specializes in selling these products, and I highly recommend the respective web store too. If you find the tiny 7-inch tablet to be too tiny for your ordinary usages, then perhaps you should opt for a larger tablet, namely Kouziro’s latest 21.5-inch Android 4.0 mega tablet. Basically, this particular tablet is a gigantic device, and it makes me wonder how could anyone lug the gigantic tablet along, due to its extremely large size? Looking for sports-based personalized gifts and awards? If you are, you should take a peek at what RESportsInc.com has to offer you. I would definitely recommend RESportsInc.com for football gifts, and the available selections are pretty good too. Generally, RESportsInc.com sells trophy balls, personalized frames, shadow boxes, engraved coach whistles, display cases, pens, personalized trophies, personalized frames, personalized drinkware, personalized bats, mini hockey sticks, and etc. Personally, I find the products to be priced very competitively, whereby you can purchase a beautiful baseball sports crystal award for just $29.99, while a personalized baseball sells for $13.99. If you require high quality sports gifts or trophies, kindly check out what RESportsInc.com has to offer you! Most Asians are already accustomed to the lag when it comes to loading web pages hosted in North America. In fact, Asia’s internet connectivity to Europe and North America can be considered as one of the worst internet connections in the world – but all that is about to change! 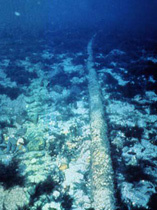 Apparently, Facebook and a Time Dotcom-led consortium will be investing into a ,214-mile undersea cable that would connect from South Korea, Japan and Malaysia, in which the fiber optic pipeline will be used to help reduce the traffic volume that is currently being routed to Singapore. Generally, the pipeline will send traffic directly to North America, which helps in improving the load time for web pages, and in this case, perhaps we’ll be loading Facebook profiles faster when the pipeline is operational. It seems that the pipeline will be fully operational sometime in the summer of 2014 – that just 2 years wait right?! StanchionWholesaler.com is a leading company that retails crowd control products like retractable belt stanchions, plastic stanchions, conventional stanchions, retractable crowd control barriers, skipper traffic cones, banner flags, and etc. It’s really easy to shop at StanchionWholesaler.com, as you can browse through their entire web catalog on their home page. Also, every product listed on StanchionWholesaler.com comes with a detailed description too, so that you can shop for the right product that fits your usage portfolio. Personally, I would urge you to take a closer look at the Specials section, as the respective section lists the latest promotional offer by the company. Visit StanchionWholesaler.com for a complete range of crowd control products.